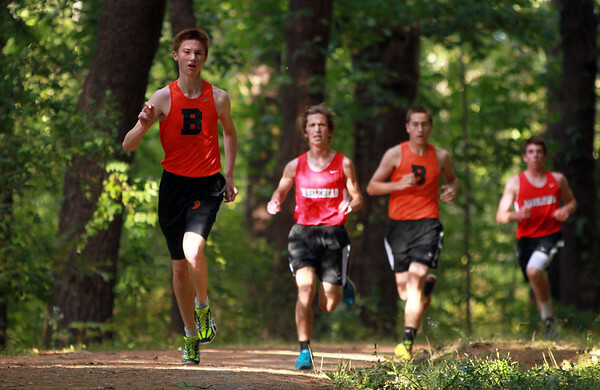 Beverly senior Zach Bauer, left, leads a pack of runners down a hill during a meet against Marblehead on Tuesday afternoon. DAVID LE/Staff photo. 9/23/14.